As you head home from work today, take a look around you at the other commuters on the road. All around you are Toyotas, Hondas, Nissans, Suburus and the like. These are all signs of the incredible success Japan has has penetrating the U.S. automobile market – taking significant market share away from the once dominant Big Three American auto makers, GM, Ford, and Dodge/Chrysler many years ago. Can Japan do it again? Are builders D.R. Horton, Lennar, PulteGroup, K.B. 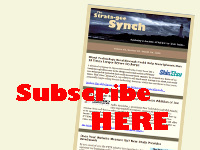 Homes at risk of the same loss of market share? 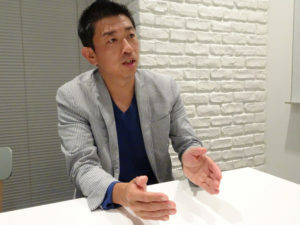 If Takeshi Homma (pictured here) is successful, he hopes to help Japanese companies take a big bite of the American homebuilding market. It would be an understatement to say that Takeshi Homma is unique. Consider the facts: he is a Japanese national, living in America, and working in Silicon Valley to create a homebuilding startup that, if successful, will open the U.S. homebuilding market to Japanese companies. His company, Homma, Inc., plans to take a significant share of the $562 billion U.S. residential construction market. This is no easy task as those previously mentioned American builders have a huge share of the market and are entrenched competitors to any outsider seeking to enter the business. A quick review of the list of most successful homebuilders shows that they are ALL American companies. The own the land, have the resources, and field a national workforce that give them a distinct advantage when it comes to building homes. 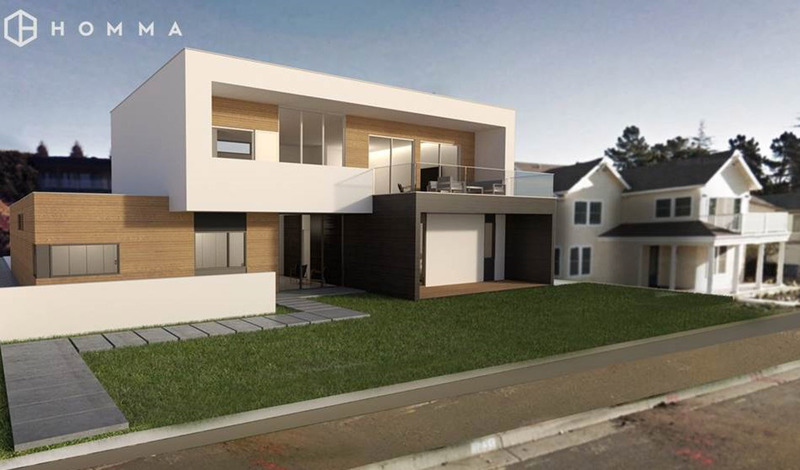 Homma, Inc. plans to build mid- to high-end homes in the U.S. that are built more efficiently and feature the know-how and quality products of Japanese housing, appliance, and technology firms. “Efficiency and industrialization have been neglected in the U.S. homebuilding industry, I want to change that,” Homma told the Nikkei. He may have a point. The fact is, homes built in America today are built much like they were decades ago: 2x4s, plywood, carpenters, and nails. Most homes are built on site from scratch by carpenters nailing wood components together. While styles may have changed, construction photos of residential projects in the works today are remarkably similar to photos of homes being built in the 1950s. Homma, who most recently was an executive at Rakuten, Inc., Japan’s largest online e-commerce operation, is set to launch his first homebuilding project featuring several prototype homes in March 2019 in Pennsylvania. The project is called, logically enough, Homma One. Eventually, it will feature as many as 100 newly constructed homes designed for, and targeted at, American millennials. Homma will change all this by prefabricating much of the homebuilding at offsite factories utilizing Japanese-made products with “high usability and quality design.” His homes will take advantage of industrialization and incorporate “systems” which are popular in Japan. Systems are grouped components that are installed as one item. For example, the kitchen system in Japan construction is an all-in-one unit with sink, storage, and cooking stove included. According to the report, Homma has partnered with key Japanese companies like Panasonic Corp, Lixil Co., and Sekisui House, Ltd. who will each provide systems, assemblies, and components for his American homebuilding projects. Using his business savvy, Homma has put together a world-class lineup of investors supporting his venture. Key Japanese executives, such as Rakuten CEO Hiroshi Mikitani and Mercari Inc. CEO Shintaro Yamada have fronted him ¥1.2 billion ($10.5 million). Also backing Homma is Masi Oka, a popular TV actor who not only invested money, but will also join Homma’s firm as an advisor. Homma has big plans for the future as well. He hopes to quickly shift from building individual homes, to building entire communities – which will add scale and reduce cost. He also plans to offer services to his communities such as landscaping services and security.